LENGTH: 26 x half hours or 52 x 11 min. Clueless, curious, kooky chickens on wild, funny adventures. Never let the fact that you are totally clueless stop you from having fun! Curious and upbeat, Clarence is the most level-headed of the flock, which isn’t saying much. Clarence loves to read (while moving his lips), figure stuff out, and smilingly walk into dangerous situations totally unaware. No one knows why Clarence is so big. He just showed up one day on the farm …as a ginormous egg. 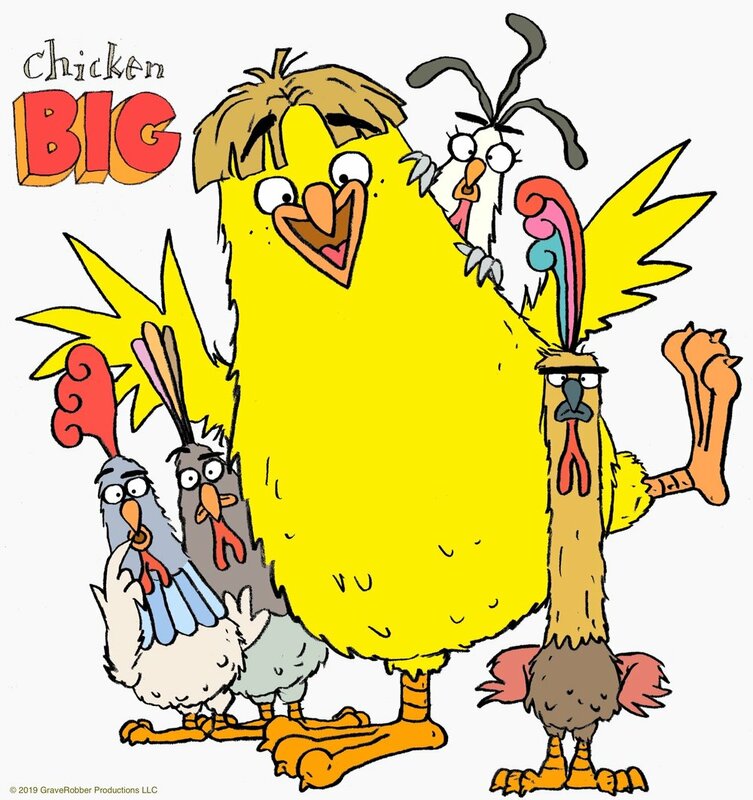 CHICKEN BIG is about what happens when an innocently wide-eyed flock encounter the big wide world around them. A GraveRobber Production in Association with Bejuba!